For over a decade, Ros, Adele, Judy and Simone have been part of the same online book club, but they have never met each other in person. The book club originally had more members, but these four women, all aged in their sixties and seventies, are the only ones left. One day, Adele invites the other three women to spend a month with her in the Blue Mountains after she is asked to house-sit her cousin's beautiful property. She asks each of her friends to bring along a book for them to discuss together. But not just any book; the chosen book must be one that will teach the other members of the group a bit more about themselves. But as we discover, each of the women is facing their own personal challenge, and they will not only learn about each other, but rediscover themselves. Newly retired Adele is quite an anxious person, and doubts herself in many circumstances. She lives in Adelaide, is single, and has one son. Ros is a widower who resides in Sydney. She has an adorable dog, Clooney (named after George of course! ), and has a rather feisty temperament. She has been recently diagnosed with a medical condition that she is finding difficult to adjust to. Judy lives in Western Australia and owns a popular knitting business which she is no longer passionate about, but is afraid to make a change. Simone is a yoga instructor for seniors, and lives in Tasmania. She has a mysterious past, and wants to try and piece together the events from her younger years in order to find peace. 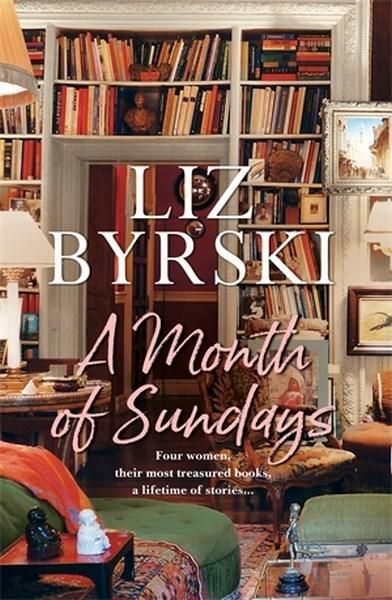 I thought that A Month Of Sundays was a rather enjoyable read, and I liked how the friendships between the four women developed and became stronger over the course of the book. The setting of the Blue Mountains provided a lovely backdrop - I could visualise the walking tracks and lush surrounds that the author described in great detail. I found that I was more interested in learning about each of the women's personal journeys as opposed to the discussions that took place around their chosen books, but that is just my personal opinion. It was nice to see the women try to overcome their fears and/or face their challenges once they were encouraged by the other females in the group. I appreciated the way the women showed such care to one another; it was refreshing to read about female characters that held each other up instead of dragging each other down. If you enjoy books about strong female friendships, then A Month Of Sundays is definitely for you. Thank you to the team at PanMacmillan Australia for the opportunity to read and review A Month Of Sundays.